"I have no idea what inspired me to put this on this morning." 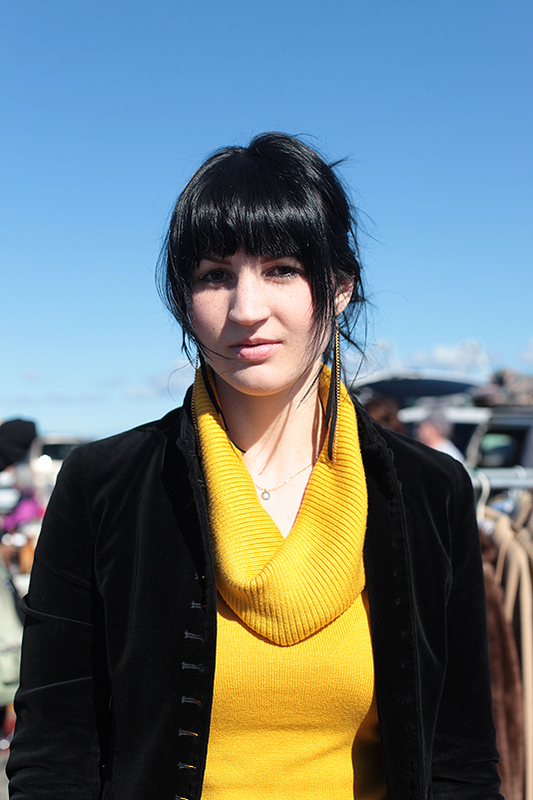 Lovely bright yellow cowl neck sweater with small velvet jacket. 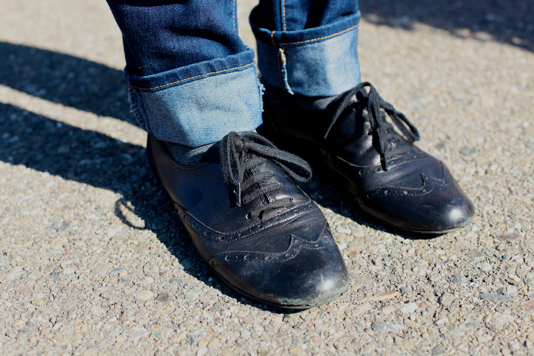 A look at her well-worn leather oxfords. Love this. 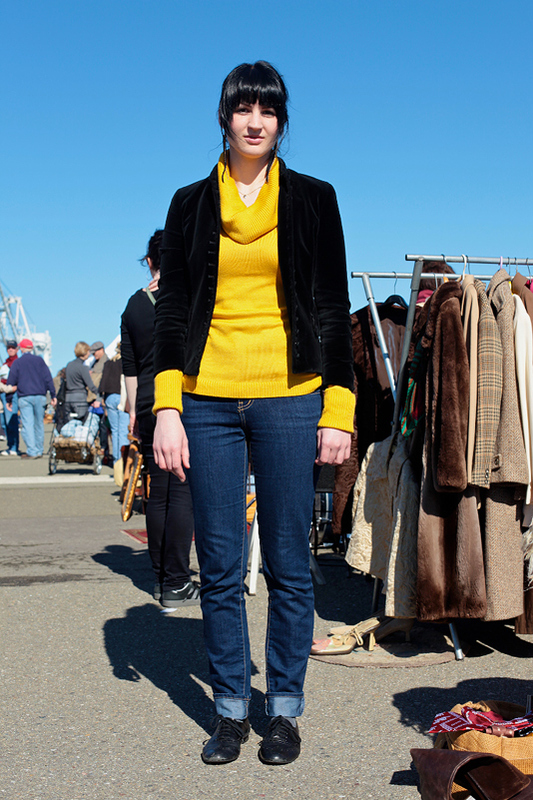 Simple bright top with a great velvet blazer - my favorite way to dress!